October 5-12 is Mental Health Week. What's this got to do with gardening? Well, a lot. Gardeners far and wide already extol the benefits of gardening, but now science is adding weight to the idea that gardening is "relaxing". One study has found that smelling roses and pulling up weeds can lower blood pressure, increase brain activity and produce a general upbeat feeling. The journal Neuroscience published another study where researchers from Bristol University and University College London discovered that a "friendly" bacteria commonly found in soil activated brain cells to produce the brain chemical serotonin. Low levels of serotonin are linked with a number of disorders including aggression, anxiety, depression, obsessive compulsive disorder, bipolar disorder, and even irritable bowel syndrome. 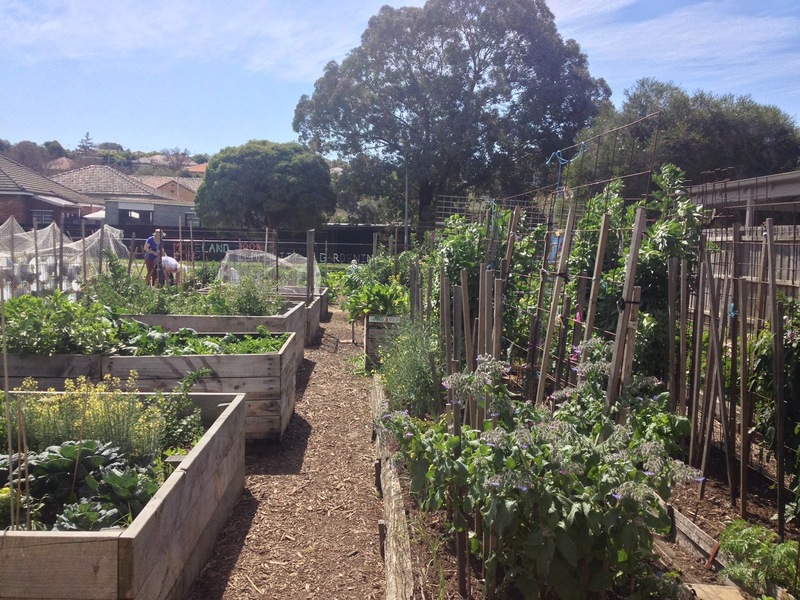 Of course, A community garden provides many other mental-health improvers apart from soil to get your hands into. We've got sunshine, physical activity, a sense of achievement, a place for learning, access to healthy food, and very importantly, a place for community interaction and inclusion with a welcoming, accepting culture at its heart. We have heaps of dates in October to write in your diary, come down to and join in on. You can learn from people who have been gardening for years, and practice any skills you might have already. 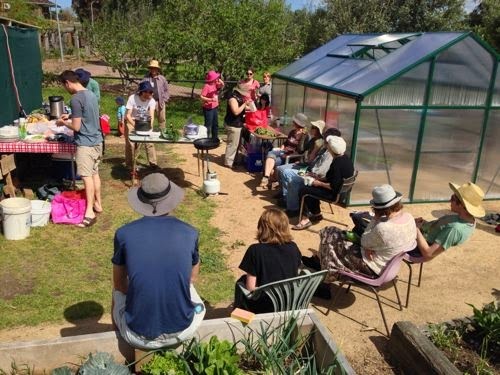 With the different garden-in-company days, and the different groups within WBCG, such as the propagation group, composting crew, communal crew, and food forest group, and other opportunities to volunteer at events, there are boundless opportunities for people to socialise, share meals, knowledge and tasks. Every meet-up we have a variety of tasks people can join in with - you'll be contributing the beauty and productivity of the garden while exercising and socialising, plus you can take home the freshest of fresh veggies and herbs. Now that's a winning recipe for good mental health.